On a triathlon bike almost everything apart from the gears, tyres and stem is different to that of a road bike. 90% of a triathlon bike is triathlon-specific parts. Here’s the basics. Triathlon bikes are all about pedal power and aerodynamics. They aren’t overly concerned about all-day comfort or handling. They’re about being as fast as possible. Shaving seconds. Shaving 1/1000ths of a second. How do they differ from road bikes? Triathlon bikes aren’t recreational or social bikes. They’re racing and training bikes. Wherever bike designers have been able to eek an aerodynamic improvement out of a component, they have done so. You can sometimes find aerodynamic/triathlon components on a road bike (a lot of road riders have a set of deep section rim wheels) but you won’t find many road components on a triathlon bike. You can’t turn a road bike into a competitive triathlon bike. Some people bolt all sorts of triathlon stuff on to their existing road bike. All they achieve is adding excess weight to their bike. It’s horses for courses. Road bikes for road riding. Triathlon bikes for triathlons. 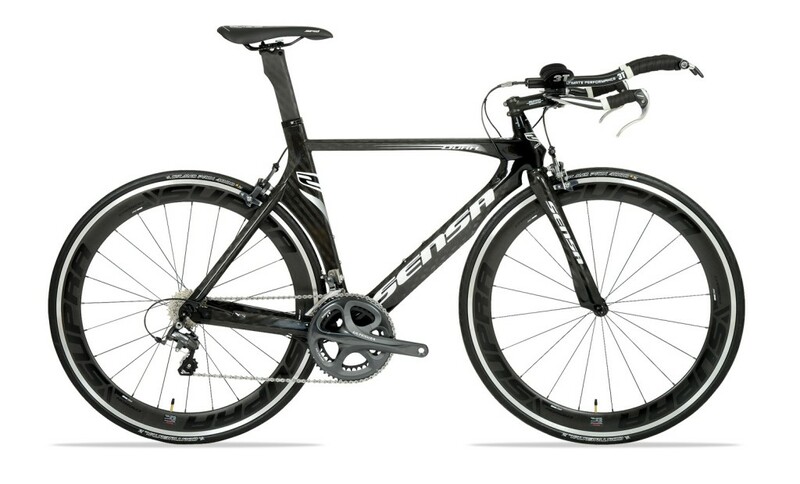 Due to their highly specialized nature, you won’t find triathlon bikes for under £1000. A triathlon bike is a big commitment. But it’s one that is never regretted by the regular triathlon competitor. Triathlon is not governed by the same governing body as road racing (the UCI). As such, triathlon bike designers have less restrictions on bike design. Triathlon bikes can have tube angles and depths that are not allowed by the UCI. Geometry is typically really low and pitched forward. Seat angles in the range of 76-78 degrees (compared to road bikes’ 73-74 degrees). Better in-the-saddle power output and improved aerodynamics. Down tubes and seat tubes can be really deep. Head tubes are often pretty fat too. This is to improve aerodynamics. 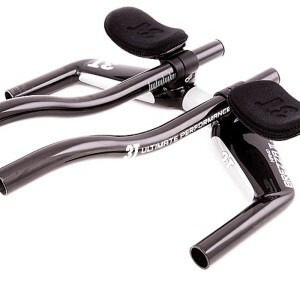 Some triathlon bikes’ seat posts are reversible to enable a huge range of saddle position adjustment. Brake levers and callipers are the same as road bikes but the callipers are often tucked away in recesses of the frame and fork. This is to reduce wind drag. Some triathlon bikes also come with hydraulically actuated rim brakes. All triathlon bikes have aero-bars. A pair of prongs sticking out forward of the handlebar. As well as improving aerodynamics, aero-bars better support the rider’s upper body during exertion thus saving energy and reducing fatigue and discomfort. Stems, bars and aero bars can be single units with built-in adjustability rather than separate components. Gear shifters can sometimes be located on the aero-bars. Some triathlon bikes are designed to hold hydration and even nutrition (energy gels) in aerodynamic locations. 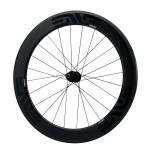 Wheels with deep section rims are usually found on triathlon bikes. The depth of the rim varies. Deeper rims are more aerodynamic in a straight line but can struggle in sidewinds. As well as the bike, you’ll need to think about getting some triathlon specific apparel. Helmets, shoes, shorts, skinsuits are all things worth considering and factoring in to your overall budget. Tagged aero bars, buyers guide, cervelo p5, deep section, dura, Sensa, tri, triathlon. Bookmark the permalink.